You just got the call. They want you to come in for an interview. You’re pretty excited, and you really want the job. As a 10-year veteran in the recruiting space, I’ve seen this thing happen many, many times. In fact, I gave it a quick estimate this morning. On the average week, I set up somewhere between 10 and 15 candidates to interview with my customers. 52 weeks in a year, 10 years doing this same thing… I’d say I’ve seen this exact thing at least 5,000 times. Along the way, I’ve picked up a few tips and tricks for impressing your interviewer and landing the job. They’re pretty simple, and I want to share them with all of you. It takes a little legwork, but I promise you, taking the time to prepare for your interview will make you ten times more successful. After all, you only get one chance to make a first impression. Step 1: Open up an Internet browser and find that company’s website. Now, read through it. Make sure you understand exactly what the company does. You can take it a step further and look for their Facebook or LinkedIn page—this will give you an idea of the company culture. The more you can learn about the company, the better. Step 2: If you know who you’re meeting with, take a second to profile them on LinkedIn. Maybe you know someone else who works at the company or you’ve been working with a recruiter? Ask them for information about the person. This doesn’t have to be personal information, but maybe the interviewer loves attending networking events and this is something the two of you have in common. 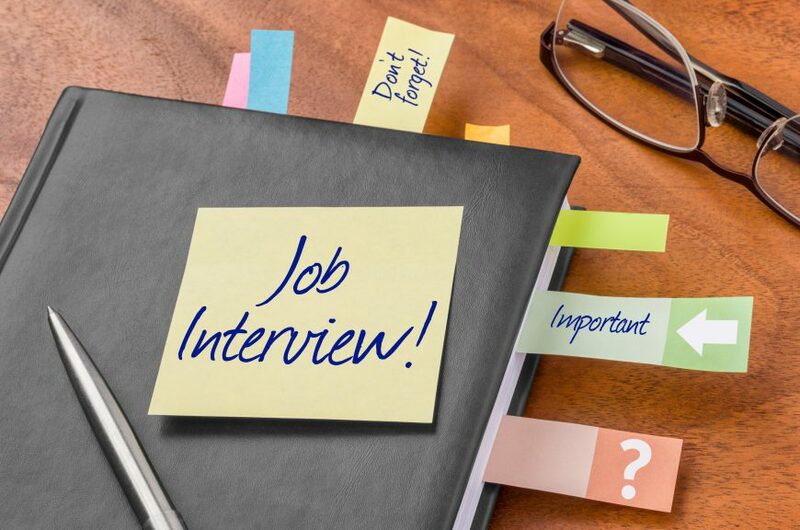 It won’t hurt if you can’t find any information on your interviewer, but it will certainly help if you can. Step 3: This ones easy, but don’t forget it. Bring three copies of your resume and grab a pen and paper. You never know who you’re going to be meeting with and you’ll want to make sure everyone has a chance to review your qualifications. The pen and paper are for taking notes about the job. This will show the interviewer you’re taking your employment decisions seriously. Step 4: On that same piece of paper, take a minute to brainstorm at least three questions you can ask your interviewer. This isn’t the time to negotiate on salary or benefits, but instead, ask questions about culture, goals, training or challenges you might face in the position. Step 5: Answer each and every question, thoroughly. If you’re answering with one or two words, you’re not saying enough. But, at the same time, if they ask for A, don’t give them B, C, D and E. If they ask about why you were terminated, give them an honest answer, but be sure to put it in the best light. Digging into the tough questions isn’t always a bad thing; just stay away from anything negative or anything personal. Step 6: Have confidence. From how you shake their hand (have a firm grip) to making eye contact throughout the interview, confidence will prove to an interviewer that you’re ready to take on the position. Step 7: Always close the interview. At this point, you should have covered everything you set out to talk about. You’ve asked your questions and you were thorough about answering all of their questions. This is your last chance to show your confidence and gauge how the interview went. Simply ask your interviewer “Based on our conversation and my qualifications, do you have any concern about why I wouldn’t be a good fit for this position?” If they say they don’t—great. If they do, you’ll have another chance to address the issues before you head on your way. Oh, and one more thing—a quick thank you email after you leave is a nice touch. If you’ve read this far, it’s probably because you’re preparing yourself for an interview. If that’s the case, good luck! Feel free to reach out any time with questions about acing an interview.